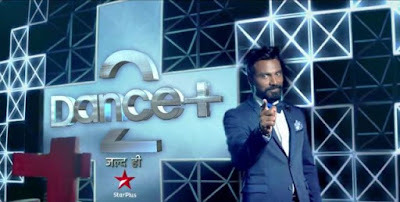 Story: Dance Plus - tag line "Ise Kehte Hain Dance"' is an Indian dance competition reality television series, which premiered on 26 July 2015 and broadcast on STAR Plus. The series is produced by Frames Productions. The auditions for the show were carried out in thirteen cities in India, started from 3 June 2015 and ended on 11 October 2015.The Winner of Dance + was V Company from Team Dharmesh. The series is hosted by Raghav Juyal, while Remo D'Souza judge the show. Dharmesh Yelande, Sumeet Nagdev and Shakti Mohan are the mentors of the show. The Season 2 of Dance Plus starts from 2 July 2016. The auditions takes place across several cities of Indian from 3 to 26 May 2016.